After reading a fascinating article about Armed Services Editions, I had the highly usual response of making my way over to the accompanying Wikipedia entry. 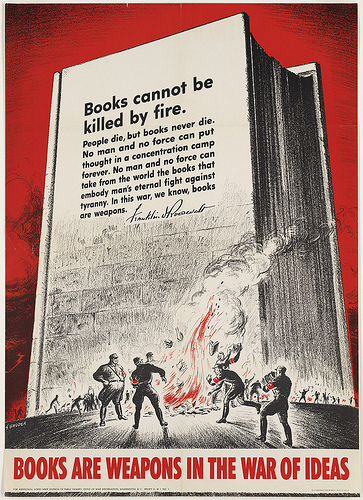 It links to the virtual catalog for Books Go To War: The Armed Services, an exhibition that ran at the University of Virginia. I highly encourage a run through. The university has a near-complete set and the exhibit takes you through the idea of the ASE from conception to production, distribution, and impact. It's an important education in part of publishing history.